To ensure you receive the best installation experience possible, we attract and contract the best crews in the market; we treat them well and pay them competitively. To control costs, we group or arrange for multiple installations in a “run”. 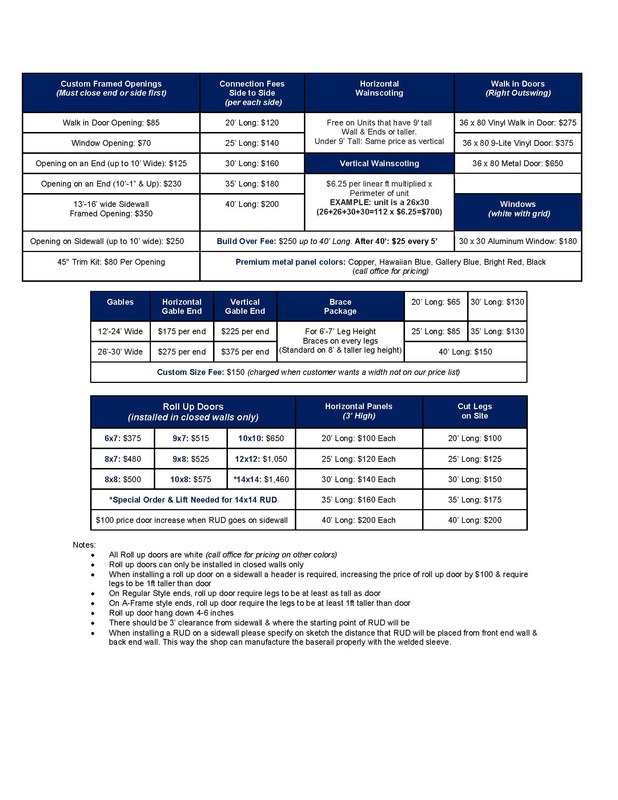 Because of site issues, weather, accidents, etc., you will note that we do not give you a specific time of arrival, but rather a “window” or a “range” within which you can expect your crew to arrive. Your crew will be pulling a 30’ to 36’ trailer; maneuvering into small or steep driveways may very well not be doable. Please advise us right away; we may want to visit before your order is manufactured. Mark any utility lines running underneath the site; if unsure, please call 811; they’ll come and mark the lines at no cost to you. 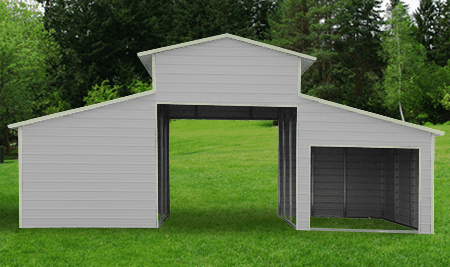 Option 1: Concrete pad should be the same size as the frame of the building. 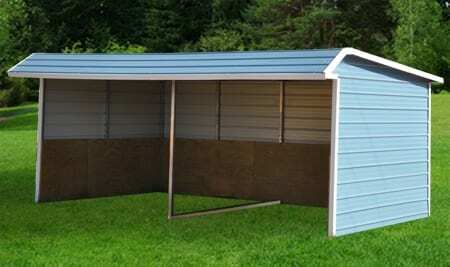 For example, if you purchase a 20X30 unit, build a concrete pad that is 20’ wide by 30’ in length. Option 2: Concrete pad with a 1.5-inch ledge. For example, if you purchase a 20X30 unit, build a concrete pad that is 20’ wide by 30’ in length and have your concrete contractor make a 1.5-inch ledge all the way around. This will make your slab 3 inches longer and 3 inches wider than the base. This will allow the metal to go down past the floor to help keep water from coming in at the bottom. In construction terms, this is similar to what is called a “brick ledge. In total, with the ledge, the slab will be 20’-3” X 30’-3”. 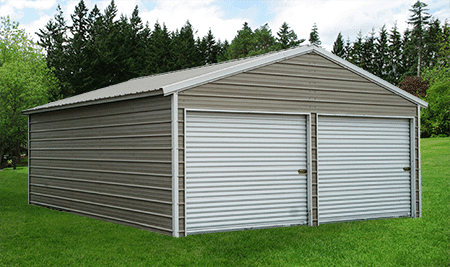 To avoid a build-over fee, please clear the installation site by removing cars, RV’s, debris. Your crew will need at least three (3) feet of space around the unit to work efficiently and safely, including placement of trim and framing. Please have payment ready before the arrival of the crew. If your site has a prerequisite for safety training or videos, please inform your dealer as this will impact the timing of the run and will require an additional charge of at least $200. Inquire if you need any special building permits. Some counties or towns have websites you can visit for all the paper work needed (if any) before installation. You, the customer, are responsible for obtaining any and all permits and the costs associated. If you need electricity or water for your building, please have your electrician or plumber visit the site before scheduling installation. It is usually best to first install electrical lines or pipes. 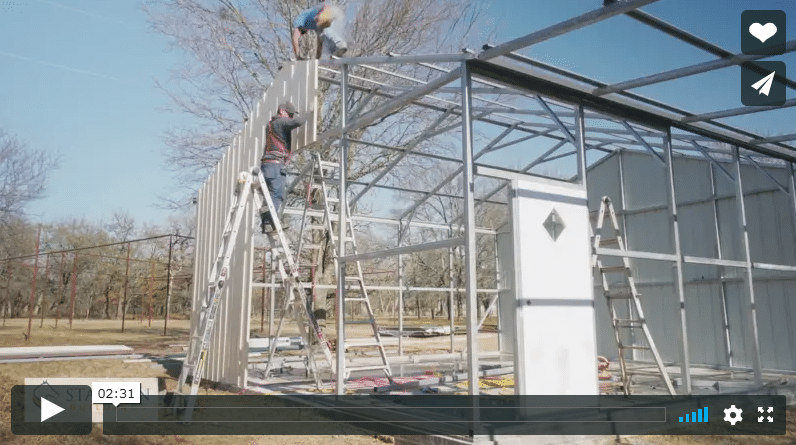 Site preparation is critical to a problem-free installation. Remember, by having a ready site, you will avoid a return trip fee or 5% of the unit price. Call us if you have doubts about your readiness for installation. 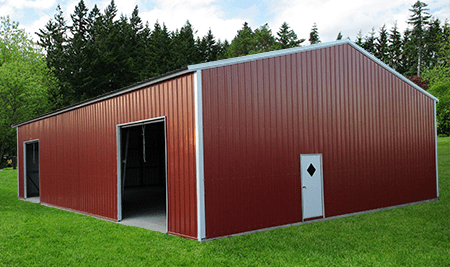 Stallion Buildings, LLC warrants to the original purchaser that the unit is free from defects in material or workmanship upon installation and will repair or replace any components that do not provide reasonable service under normal use. If you have any issues due to manufacturing or installation, please send us photos of your unit with a description of the problem and we will review and advise. Rest assured that if we find there is a problem covered by our workmanship warranty, we will repair it at no cost to you for a period of one year from the date of installation. 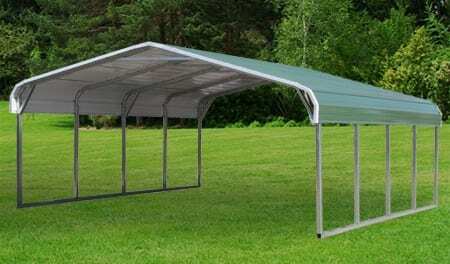 Please note that no warranty applies to leaks around the base, including but not limited to units installed on dirt, rock, wood, concrete, or asphalt; leaks at roll up doors; condensation / sweat on sheet metal; units over 30’ wide not installed on concrete; leaks on roofs over 35’ long or 30’ wide that are not vertical metal; light entering at the roofline from metal ribs. In addition to our workmanship warranty, we offer a 40-year panel warranty for film integrity and 30 years against fading, peeling, and flaking, and a 20-year warranty against rust on the steel frames. We will replace the defective parts within 20 years of original purchase should these rust through to point of instability. This warranty shall not apply to any Stallion Buildings, LLC product or any part thereof which has been damaged by fire, flood, water, earthquake, earth movement, hail, wind, adverse weather conditions, vandalism, theft, act of God, accident or other event, or a casualty which is customarily covered by homeowners’ insurance. 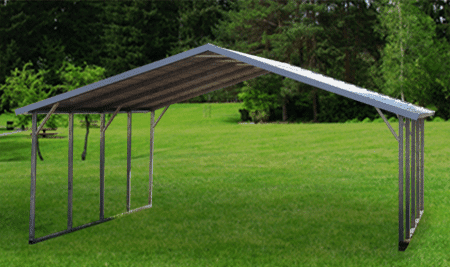 This warranty does not cover damage caused by abuse, misuse, alteration, neglect, or improper maintenance, including contact with soils, ashes, fertilizers, or other moisture-retaining substances. This warranty does not cover damages to building contents or other personal property. 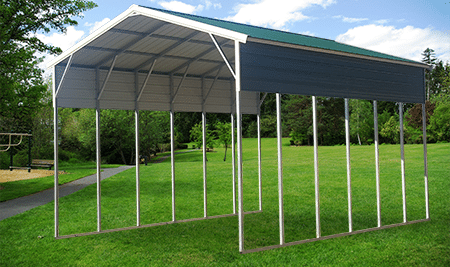 Unlevel or uneven site installation is installed “as is” and only the rust through and film integrity warranties apply. To submit a claim please provide serial number, name, address, phone numbers, description of the problem and date first noticed. 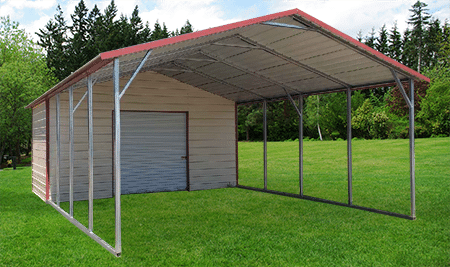 Our Steel Carports and other steel buildings have workmanship guaranteed for one year! Buy Quality. Buy Workmanship. Buy for Life. Stallion did an excellent job. Crew was fast, efficient and clean. I love my workshop! They were polite, professional and cleaned up when they were done! I get compliment after compliment on my workshop and I would happily refer my friends and family to Stallion Buildings! All is well! I’m thinking about getting another one! I appreciate you calling me up and checking on me. The crew had it up in like 30 minutes and they were outta there! I’m exaggerating a little but yeah. Stallion Buildings did a good job. Got it put up anyway even though it was dark! It looks good! They picked up all their stuff. Got it up where I wanted it. Install and everything went great! 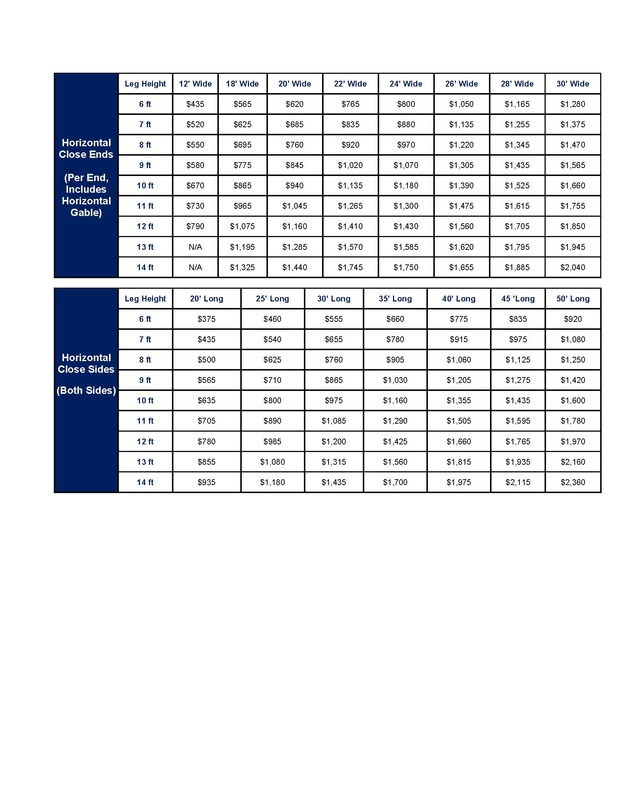 High end of the decimal range on 29 gauge of thickness. Our workmanship is guaranteed for one year. Our steel panels guaranteed for 40 years for film integrity. 30 years against fading, peeling and flaking. 25 years against rust-through perforation. 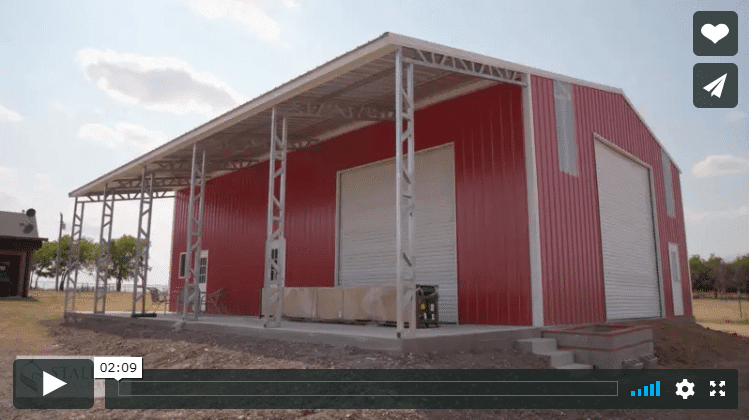 Stallion Buildings is a privately held Texas company. 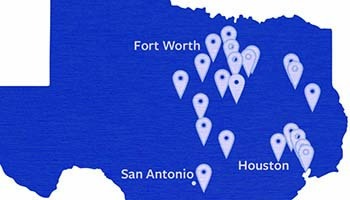 We manufacture, operate and sell exclusively in Texas. 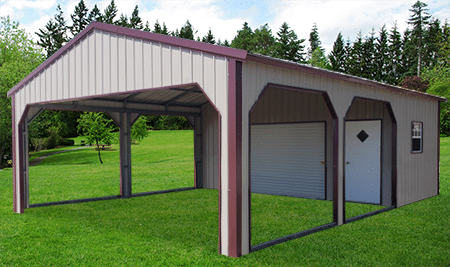 We are not just another “carport company”. Our roots are deeply ingrained in the manufacturing industry and we take pride in knowing our products are the best in workmanship, quality and price. 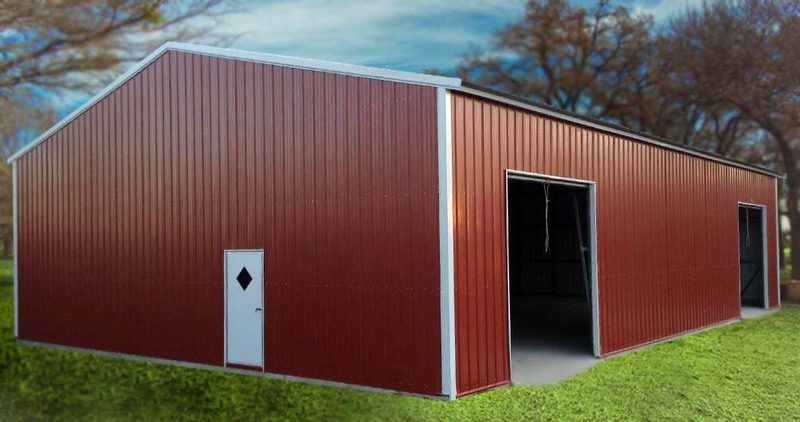 We specialize in a wide range of steel buildings including large and commercial workshops, garages, barns, carports, RV covers and utility buildings. 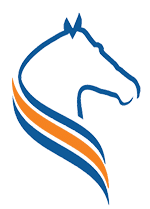 At Stallion Buildings, we have an abundance of dealer locations spanning the great state of Texas with knowledgeable sales staff to help you with any questions you may have. 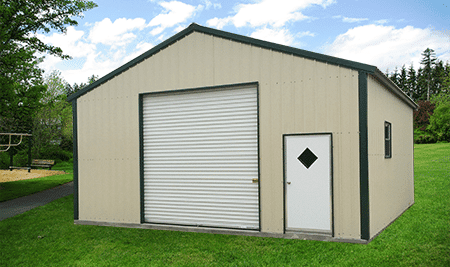 We continually provide competitive installer pay, which means we attract and retain the very best in the business to install your new steel building! Our professional staff has the skill set to help your custom vision come to life no matter how big or small the job may be. Here at Stallion Buildings, our products are made using the best 29 gauge steel on the market, hands down! 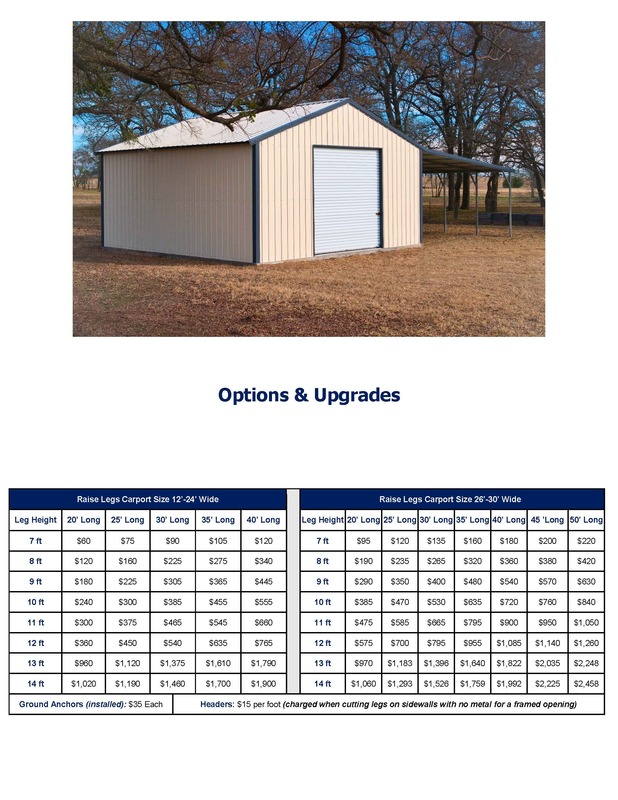 We proudly use 80 KSI (80,000 pounds per square inch), Grade E steel panels that are on the high end of decimal range of thickness. This can be as much as a 40% difference from competitors! 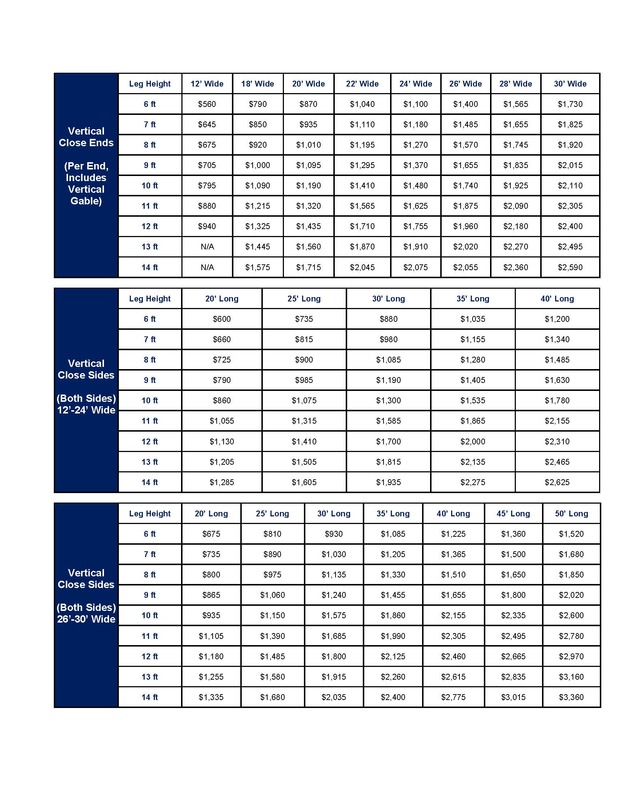 Other companies only use 33 KSI, Grade C steel panels standard. In addition to our great quality, we stand behind some of the best warranties in the business! Our workmanship is guaranteed for one year, while other companies offer only a 90 day warranty on workmanship. Our steel panels are guaranteed for 40 years for film integrity, 30 years against fading, peeling and flaking, and 25 years against rust-through perforation. We stand behind the workmanship and quality of our products with our limited workmanship warranty as our promise to you. Ask your salesperson for complete details. 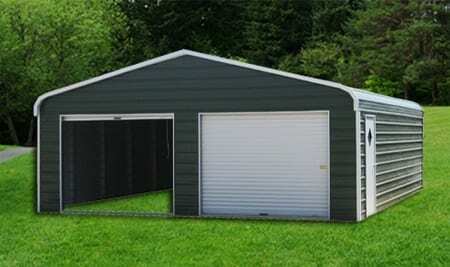 Installation up to 50 miles from any of our numerous manned sales location receive free installation. Ask your salesperson for complete details. With our extensive options and upgrades available to customize your order, you are sure to find exactly what you need. Our company takes pride in conducting business by God’s principles. You can take comfort that in every interaction with Stallion Buildings, you will be treated fairly and with respect. Our no credit check rent-to-own program gives you the flexibility to make monthly payments that fit your budget. You matter to us! We are here to guide you step by step to ensure your experience with Stallion Buildings is an exceptional one.